The Staples Wreckers of Westport, hosted the Amity Spartans Boys Ice Hockey team in Milford Saturday afternoon. The game got off to a slow start with a scoreless first period. 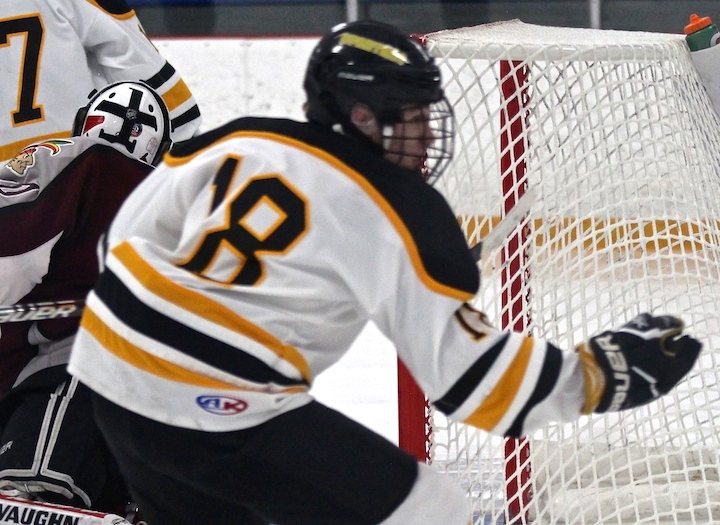 Staples goaltender Zachary Bloom made 10 saves, Amity’s goalie Tyler Cole made 8 saves. The Spartans were first to get on the scoreboard with Jason Csejka’s unassisted goal at 2:56 into the second period. The Wrecker’s Sam New tied the game five minutes later with his own unassisted goal, then, within two minutes New got another one past Tyler Cole, assisted by Reed Caney and Brian Gray. Period two: Staples 2-Amity 1. Saves: Staples 5, Amity 10. Brian Gray got the third period going at 5:22 with a Staples goal, assisted by Matt Bidgood and Zach Stober. Amity edged closer with Csejka’s second solo goal at 10:45, but that was as good as it got. Unfortunately, for Amity, Colin Hughes (#8) was cited for checking from behind which led to his being kicked out of the game with just 2.5 minutes remaining and he’s banned from Wednesday’s game as well. Staples won this one 3-2. He added that he wasn’t upset with the outcome, just disappointed in the performance. “We have a lot to work on and we take one game at a time,” he said. The Spartans host Milford at the Bennett Rink in West Haven on Wednesday, Jan. 3 at 8:30 p.m. 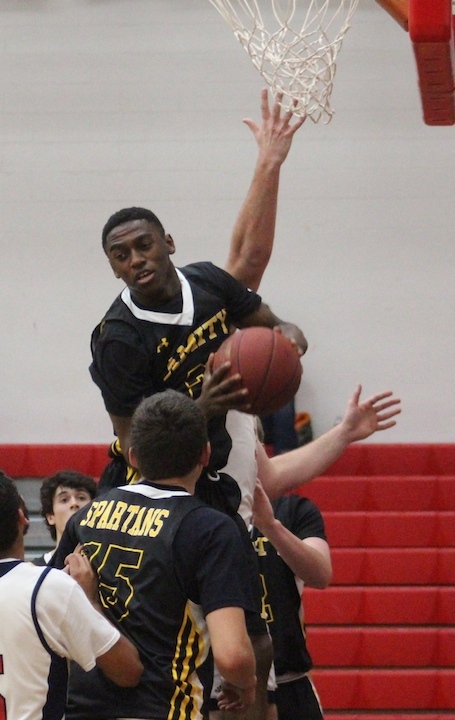 There are several Amity Varsity sports events this week. 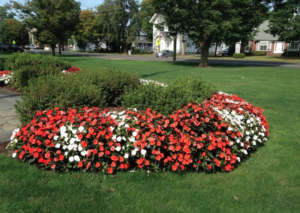 Most are “away” but two are nearby – one at home. The Amity Wrestling Team will Be on the road in Simsbury to compete in the Frank Chaves Invitational at 10 a.m. 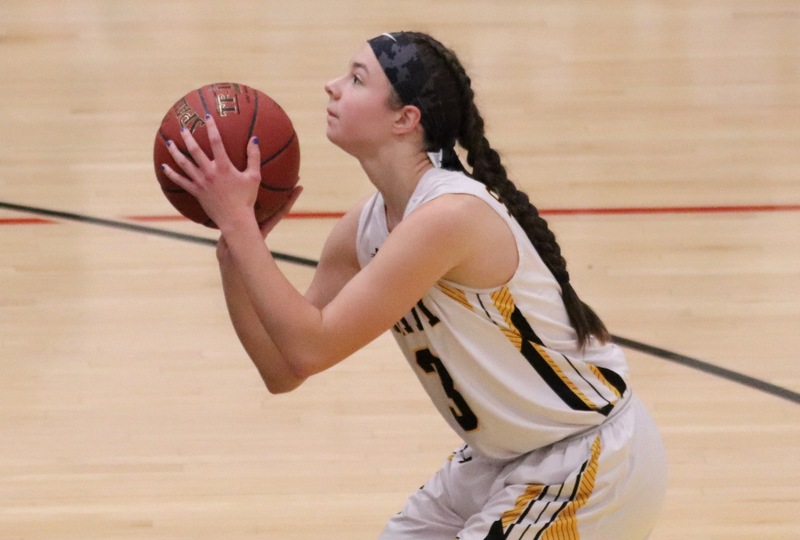 The Girls Basketball team will play Masuk at Trumbull High School at 5:30 p.m. The Girls Indoor Track Team will compete in the Wil Wright Invitational Meet at SCSU at 12 p.m. The Wrestling team will take on New Haven Wrestling at Wilbur Cross High School at 7 p.m. The Wrestling Team will compete in the Southington Duals at 9 a.m. 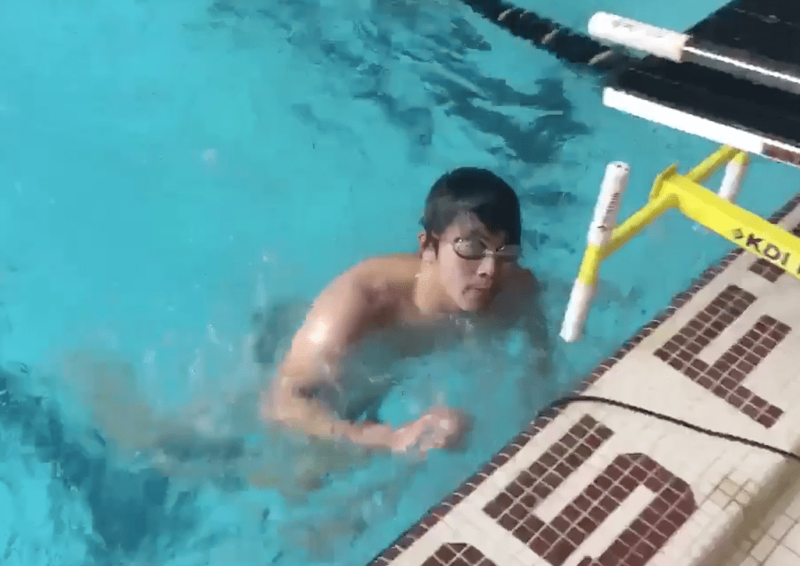 The Boys Swimming and Diving team is on the road in East Lyme at 10 a.m. The Girls Ice Hockey team will be on the road in Greenwich at 12 p.m. 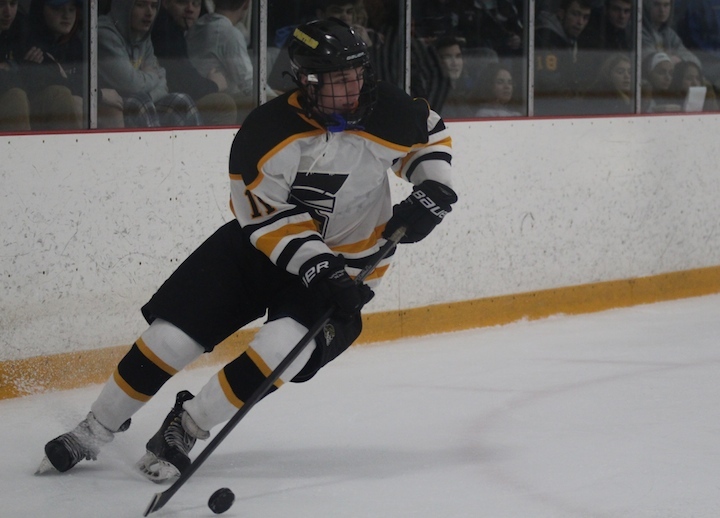 The Boys Ice Hockey team plays Staples at the Milford Ice Pavilion at 3 p.m. The Amity Winter Sports season is happening now and the following teams have HOME events during the next two weeks. On Monday, Jan. 4, the Girls Hockey Team will play Stamford-Westhill-Staples at the Shelton Rinks at 8 p.m.
Wednesday, Jan. 6 is a very busy night with the Wrestling Team against Daniel Hand at Amity at 6:30 p.m., Boys Hockey will take on Milford CoOp at the Edward Bennett Rink in West Haven at 8 p.m. and Girls Hockey plays ND-Fairfield-Foran in Shelton at 8:30 p.m.
Thursday, Jan 7 Boys Swimming and Diving takes on Granby at the Orange Town Pool at 7:15 p.m.
Monday, Jan. 11, Boys Basketball goes up against Notre Dame-West Haven in Woodbridge at 7 p.m., Girls Hockey takes on Daniel Hand at the Shelton Rinks at 8 p.m.
Tuesday, Jan. 12, Wrestling takes on New Haven at Amity at 6:30 p.m.
Wednesday, Jan. 13, Boys Hockey will battle Branford in West Haven at 6:30 p.m., Boys Basketball hosts Guilford in Woodbridge at 7 p.m.
Friday, Jan. 15, Girls Basketball goes up against Shelton at Amity at 7 p.m.
Coach Lindgren talks to the team during a time out. Amity Hockey Coach Gary Lindgren has a challenge before him in 2015, trying to make a young team into a force to be reckoned with on the ice. 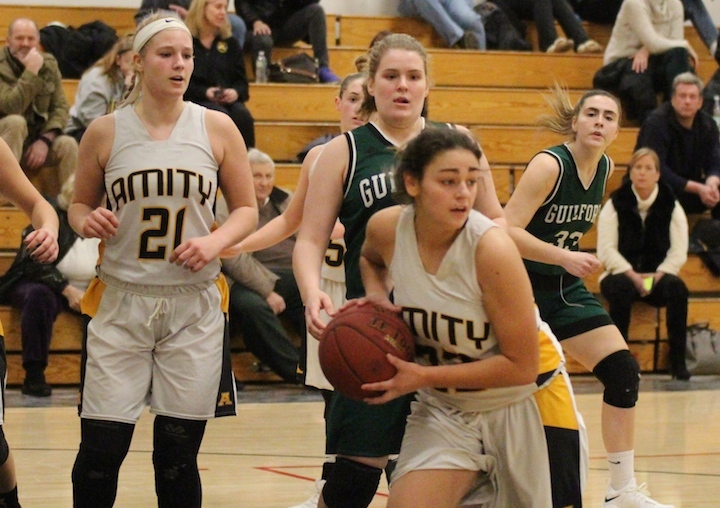 With only 6 seniors on the roster this year, Amity is made up primarily of equal amounts of sophomores and freshmen (7 each) and just 4 juniors to carry over to the next season. As a spectator at Monday’s game it was disheartening to hear the players from the opposing Fairfield Warde/Ludlowe team leave the ice after the first period laughing and trash talking our Spartans. But, realistically, the Fairfield kids played hard and kept Amity’s goalie, Freshman Tyler Cole on his toes all three periods, while for Fairfield’s goalie, sophomore Mike Grace, it was pretty much a stress-free game. In the first period, Fairfield’s Jake Fuss got an unassisted goal by Cole at 5:17. Soon after the start of the second period, Fairfield scored again with a goal by PJ O’Reilly, assisted by Wade Petro and Fuss at 1:22. Then, with just 46 seconds left in the period Fairfield senior Matthew Roberts, assisted by Kevin Boldrighini and Zach Weinstein brought the score to 3-0. With their confidence in overdrive, Fairfield came out in the final period with a vengeance and just :25 seconds in, Fuss made his second goal of the night, this time assisted by O’Reilly and Trevor Demitt. Thanks to a nice move by Amity captain Zach Shelnitz who made an unassisted goal at 3:23 in the third period, the Spartans did not suffer a shut out. The final score was 4-1 Fairfield. Lindgren clearly was not happy with his team’s performance in this game, but did take a moment to comment on the freshman goalie who made 33 saves during the game. (Fairfield’s Grace made 13 saves). “Tyler worked real hard in this game. He had some nice saves,” Lindgren said. 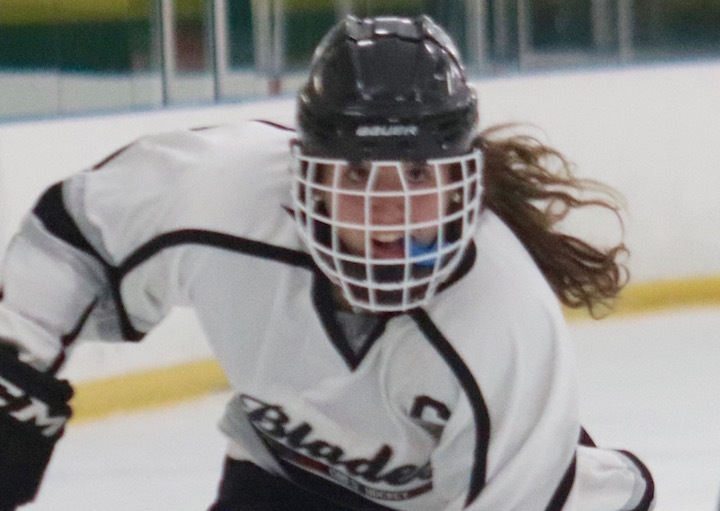 The Spartans will play Milford at the Milford Ice Pavillion Saturday, Jan. 3 at 1 p.m. 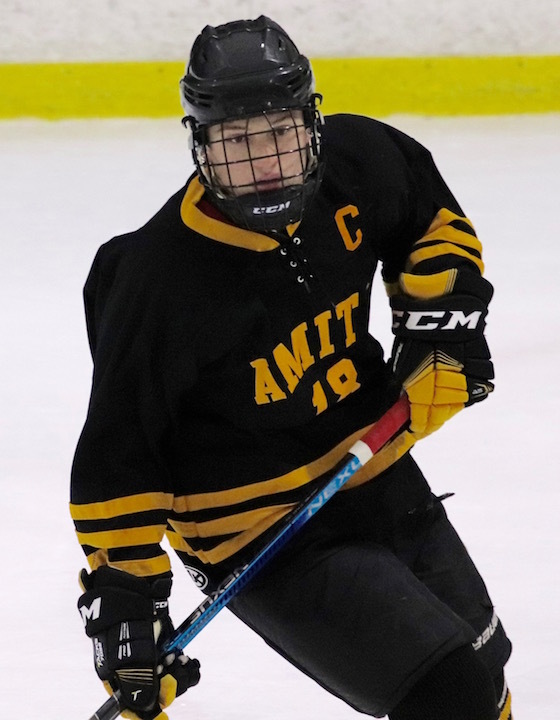 Boys Hockey: Amity vs Guilford — Has Amity Found Its Stride Yet? 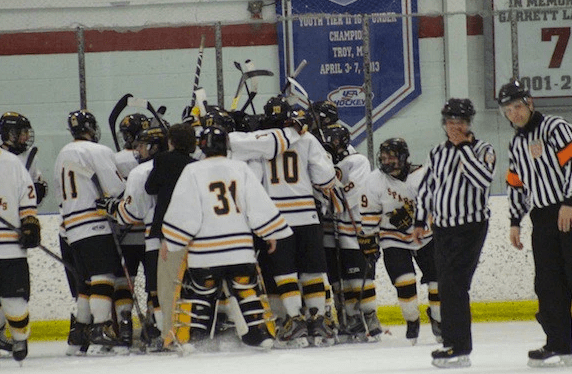 Amity High School, Around Town, sports Hockey Comments Off on Boys Hockey: Amity vs Guilford — Has Amity Found Its Stride Yet? Zach Shelnitz #8 scored two goals in Tuesday’s game. The Amity Spartans Hockey Team is starting to get itself together. After playing hard against the powerful Cheshire team on Saturday and holding their own until the third period when Cheshire pulled ahead, they were denied a tie in the last 2 minutes. On Tuesday, Dec. 23, with “the other Tyler” Sophomore Tyler Johnston (#31) in the net, Amity took on Guilford. 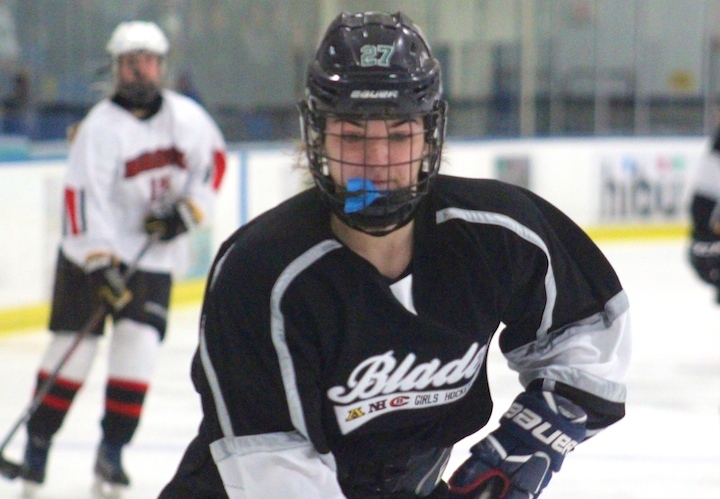 As in past games the opponent was first to score with Guilford’s Ryan Brand getting a goal, assisted by Jack Petrick and Chris Cafiero, just 2:27 into the first period. Not to be outdone, Amity answered less than 2 minutes later, tying things up with Adam Moscato’s goal, assisted by Captain Kevin Ryan. At 4:51 Ryan assisted Co-Capt. Zach Shelnitz in the tie breaking goal. With Amity ahead by one, the Spartans came out for the second period meaning business. Guilford’s Kevin Gaudio, assisted by Joe Neleber, got one past Johnston at 13:25. The Spartans would have none of that, and less than 30 seconds later, Shelnitz, assisted by Ryan and Charlie Csejka scored his second goal of the game, bringing the score to 4-2. Johnston made 24 saves while Guilford’s Kyle Dwyer had 20. Coach Gary Lindgren is back this year after taking a break last season due to illness, but he is enjoying working with this young team and watching them grow with each passing game. So far we’ve seen two goalies, Freshman, Tyler Cole (#30) and Sophomore Tyler Johnston (#31) in the net. Lindgren said both are young and are gaining experience this year with the coaches flip-flopping them between games.